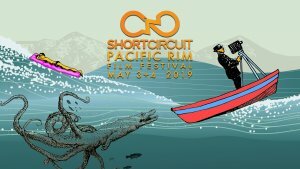 Join us for our 7th annual festival, showcasing 25 short films from near and far! 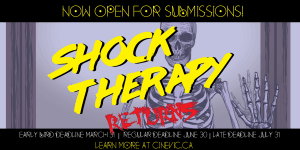 We're looking for the best short horror films from around the world! 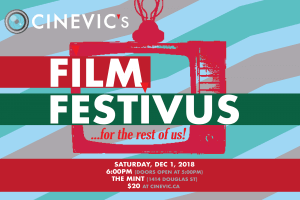 CineVic is an artist-run society which supports independent filmmakers and media artists with accessible programming, affordable equipment, professional development resources, and cinematic exhibition opportunities.  CineVic Membership is open to anyone who demonstrates filmmaking or videography ability, or interest in developing this ability in the art and craft of filmmaking and videography. Join up to get member rates! Attend workshops and training sessions. Apply for professional development and film production opportunities. Participate in screenings, artist talks, collaborations and networking events. Join us on Wednesday April 24th for the next CineVic Monthly Member Meetup! We’re trying something different this time around, with a New Member Orientation from 6 to 6:30, then we’ll head downstairs to Cenote for a quick drink and discussion on this month’s topic: (TBA). All members (new, old, and in between) are welcome! The latest addition to our roster of professional-grade cinema cameras. 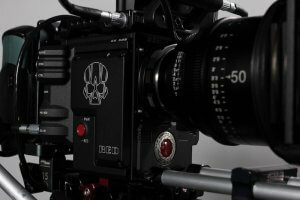 In 2012 CineVic was an early adopter of 4K filmmaking with our RED Scarlet camera. 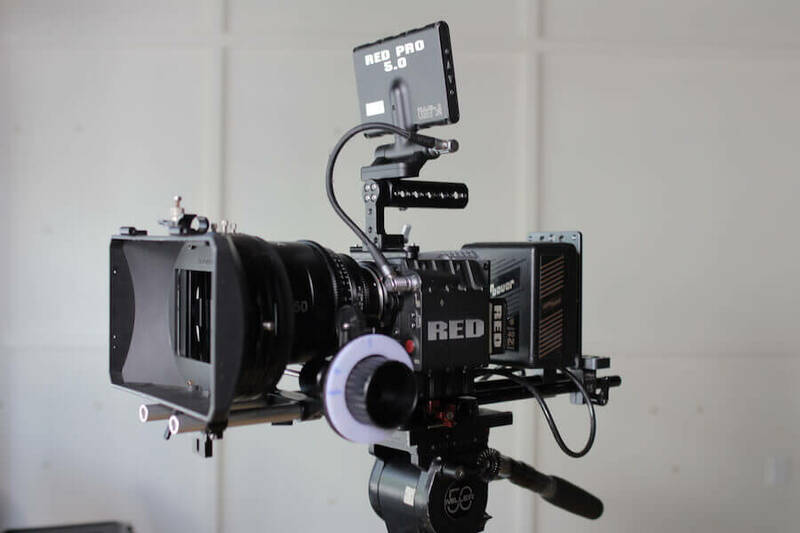 In 2019 we’re taking things to the next level, bringing new 5K capability to filmmakers and media artists on Vancouver Island. Sit back and enjoy some amazing work by CineVic members, and relive some of our past programming. Go ahead. Binge. 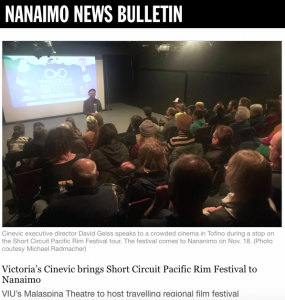 CineVic Membership is open to anyone who demonstrates filmmaking or videography ability/techniques or interest in developing this ability in the art and craft of filmmaking and videography.